Cattle, along with sheep, have been the backbone of Banks Peninsula for well over 100 years. In the early days, many bays had their own cheese factories to cater for all the dairy farms in the area. 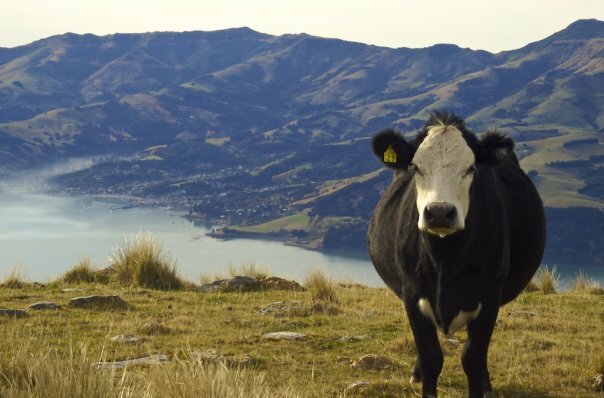 Over the years, with the reduction in local dairy farms due to lack of size and profitability, there are only a handful of dairy farms left on Banks Peninsula. The beef breeding cow has been a great management tool for the local farmers for many years. From helping to break in new blocks of scrub and bush, to cleaning up pasture so it is ready for the new season growth, Banks Peninsula cattle has a reputation for its quality and the local farmers take pride in what they produce. There is no better place to see this than in our Prime Heifer Competition. Local farmers compete to produce the best prime heifer suitable for the local trade market. The heifers are displayed and judged on the hoof on Show Day. They are then slaughtered and judged on the hook for fat cover, colour, pH level and carcass conformation. The over all points are added up to find the winners. There are two sections, Traditional Breed and Exotic Breed. We also have cattle breeders who come from outside the area to show their stud cattle. Many of the local farmers have used bulls from these studs and their progeny are in the Prime Heifer Competition.